“Three, two, one!” the captain counts down as you sit on the ledge, eager to lean back and fall into the deep blue sea. Your fellow passengers eagerly watch with their goggles on and life vests strapped tight, more than ready to follow you in. Are you ready dive into Mexico’s world under the sea? Snorkelling in Mexico’s waters is an unparalleled experience. Small fish, big fish, red fish, blue fish, one fish, a school of fish, and more are ready to greet you in the land of bubbles and flippers. Here are some of the top spots to grab a mouth piece and jump in. 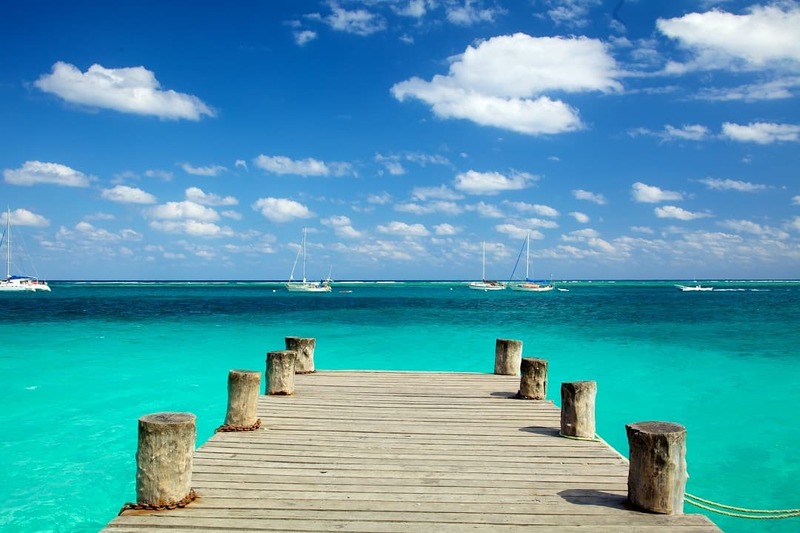 Cancun is known for its clear waters, which is perfect for some prime snorkelling. When it comes to this mythical beach town, you have your pick of top snorkel spots. 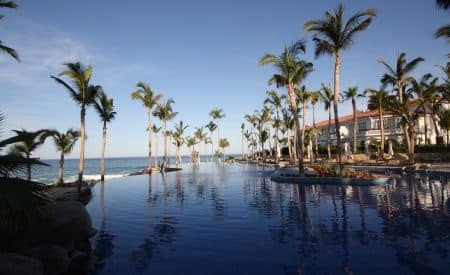 If you’re looking for a quick dip into the ocean, the southern shoreline of the main hotel zone is an excellent spot for a day in the blue waters. 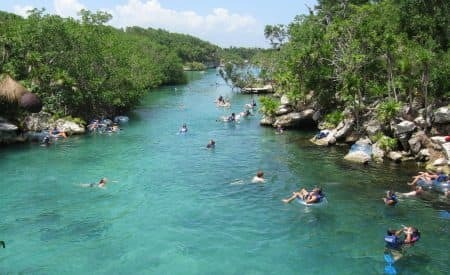 However, if you don’t mind a bit of travelling, 20 minutes out of Cancun is the world-famous snorkel town of Riviera Maya, where the coral reefs are peppered with an assortment of playful fish and sea plants. Prepare to encounter an array of sea turtles, octopuses, and puffer fish during your swim. The sleepy town of Cozumel made quite a splash on the national scene in 1961 when renowned oceanographer Jacques Cousteau declared Mexico’s largest island to be one of the best diving spots in the world. The rainbow-esque Mesoamerican Barrier Reef is the second largest barrier reef in the world and is not to be missed as you snorkel around the crystal clear waters. No matter where you turn, you’re sure to run into dazzling angelfish and parrot fish, with the occasional barracuda and spotted eagle ray swimming your way. What do giant manta rays, dolphins, and sea turtles all have in common? They are all sights to see when you snorkel in the ocean off of Puerto Vallarta. Los Acos is the most popular spot to snorkel in town, as this area is a protected marine park. Not only is it filled with fish, there are also three large rocks in the bay with elegant arches and underwater tunnels to explore. Mazanillo is the perfect snorkel destination for beginners. The reef, nicknamed “The Aquarium,” is overflowing with butterfly fish, blue sponges, jewel morays, and other multi-coloured fish darting through the water. The sea is also home to the San Luciano shipwreck, a causality of the 1959 hurricane. The deck of the ship is only 1.2m below the water, so you can easily to explore the legendary ship and the budding sea life around it. If you’ve never snorkelled through a cenote, put it on your life to-do list. Cenotes are underground caves with shallow rivers inside, and they are truly sights to behold. Some of the very best cenotes are located in Tulum, where pockets of natural sunlight cascade prismatic shadows on the dripping stone formations. Just remember your underwater camera; this is an experience you’ll want to remember. With fins on your feet, and a mouthpiece in, you’ll be free to explore the secret world of Mexico’s deep blue sea. Three, two, one—are you ready to fall in? What’s the coolest thing you’ve seen while snorkelling?